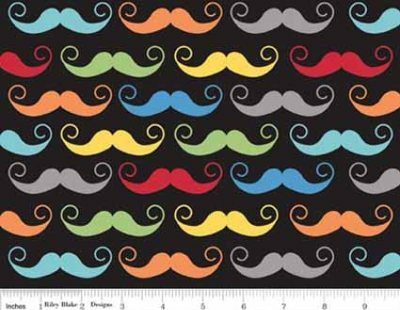 MUSTACHES IN RED, GREEN, BLUE,YELLOW, ORANGE AND GRAY ON BLACK, THEY ARE ABOUT 3/4" TALL. 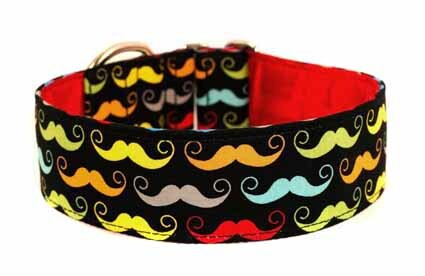 COLLAR SHOWN IS 2"
All collars are made to fit based on your dogs exact neck size, the size ranges below are for billing purposes only. Based on the actual neck size I will allow room to loosen or tighten for a perfect custom fit. If your dog is still growing then indicate "growing" next to the neck size and I will give you some extra room to expand. 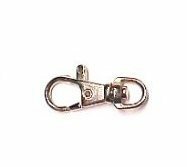 The amount can vary based on the starting neck size and buckle types. If it is too small then I am not able to give you as much room and will contact you to discuss your options. Fabrics are limited to stock on hand and may sell out after an order is placed, you will be notified of your options should this happen. Each consumer is responsible for determining the suitability of these products for their individual situation. Consumer accepts all responsibility by purchasing and using these products. 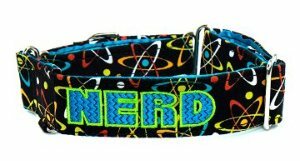 Add on items for your Custom Collars.